1 How Casino Roulette Works? Roulette is a widely-known casino game. Its name was derived from the French word that means ‘little wheel’. It’s a game of chance which uses a spinning wheel. This wheel usually has either 37 or 38 numbered pockets. 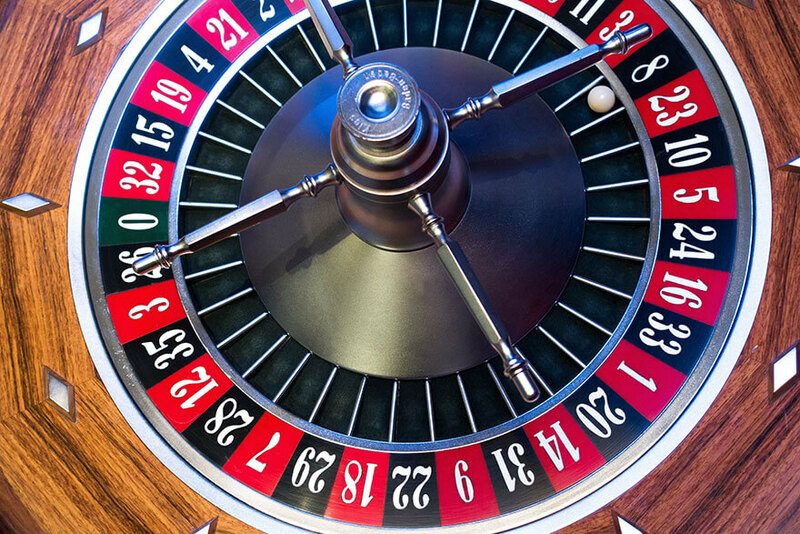 Experienced roulette players have studied both the mechanical, physical, and mathematical aspects of the game. American Table – This table has a single and a double zero pocket which doubles the profits. However, most casinos have a rule that if the player bets on all the odd numbers and the ball lands on either zero or double zero, only half of the money will be taken away. European Table – This table has a single zero pocket which increases a player’s chances of winning. But of course, there’s always a catch. Single zero roulette games usually encourage players to shell out more money and play for a few more rounds which turn into profits for the casino. Ball Track – It’s an epoxy-coated wood where the balls roll. Base – This is the outer part of the wheel and it’s made of wood but with a metal interior. Diamond – These are metal deflector placed on various areas of the roulette wheel. Pockets – It contains all the winning numbers and it’s also where the balls rest. Rotor – It revolves with the pockets and is located in the inner part of the wheel. In order to start playing, the player should just place the bet on his chosen colors, numbers, or sets. The player can place an unlimited number of bets per round. He can place on any colors, numbers, or sets. He’ll win if any of the bets he’s placed will get picked. In some casinos, they allow the players to continue making bets even if the ball’s already spinning. It must be noted that the player should only reach for his winnings once the dealer removes the marker. Before placing bets, always use the average loss calculator first so you’d have an idea on how much money you could lose at the game. Avoid using dangerous betting systems, try using conservative ones instead. Start small and place only the minimum bets. It’s easy to lose a lot of money in roulette so it’s better to take things slowly. It must be noted that single-zero roulette games often have a high minimum amount of bet. Don’t get tricked into playing that particular game just because it has a lower house edge- look at the minimum bets, too. Don’t make the mistake of thinking that any number or color is due to get picked. Just because the game has the same outcome for several times in a row, that doesn’t mean that the other option will be the outcome at the next spin. The 5-number bet has a higher than usual house edge so it’s better to avoid placing that particular bet. Each player will be given a different color of chips. This is to prevent confusion when placing bets on the table. It will also make things easier for the dealer. When purchasing chips, the dealer will usually ask you to choose between outside or inside. This will determine if you’ll be placing inside bets (specific numbers) or outside bets (columns, dozens, black/white, odd/even). It’s recommended that you get both so your actions will not be limited in case you change your mind. The color of the chip is solely to identify the owners- it does not come in denominations. Minimum bets at a roulette game will usually be written on a placard and placed on the game table. For inside bets, you can place bets as low as you like but the total amount of your bets for that round should reach the table minimum. For outside bets, each bet that you’ll place should at least reach the table minimum.